This audio was first aired on the March 17, 2015 extended edition of The Daily GRRR! and will be the feature on the 19th. This is an interview with Amar Wala, the director and producer of the award-winning documentary The Secret Trial 5, a film which takes a critical look at Canada's "security certificate" regime. The documentary revolves around four of the five men wrongly targeted by the Canadian state, imprisoned for a combined 30 years without charge and without being allowed to see the evidence which led them to be suspected for ties to terrorism. Amar discusses the documentary, the impetus for for making the film, and the reception the film is getting as they tour around the country, engaging with audiences along the way. We also discuss The Secret Trial 5 in relation to the Harper government's new "anti-terror" legislation, Bill #C51. 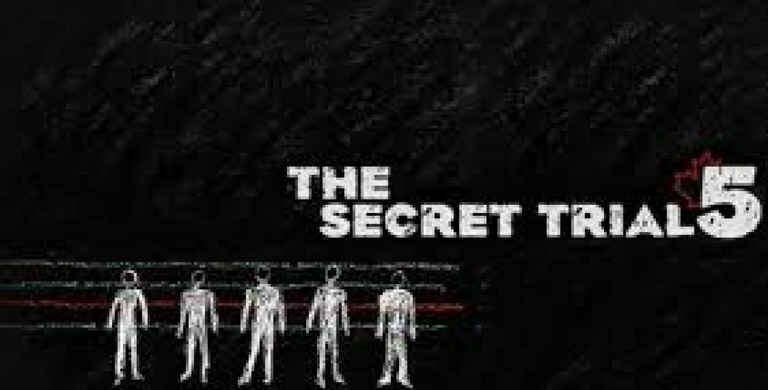 For more info on the film, the tour, or the cases of The Secret Trial 5, visit secrettrial5.com. You can also watch order the doc on the website and find a bunch of ways you can take action against these ongoing injustices. The Secret Trial 5 will be playing at 6:30 p.m. on Thursday March 19th at the Princess Cinemas in Waterloo, Ontario and will be followed be a Q&A with Amar and other members of the film-making team.